Roasted Butternut Squash Filled Ravioli with Brown Butter Sage Sauce. Thanksgiving is one of my favorite holidays of the year. The memories of family together, cooking, eating, scrabble after dinner. 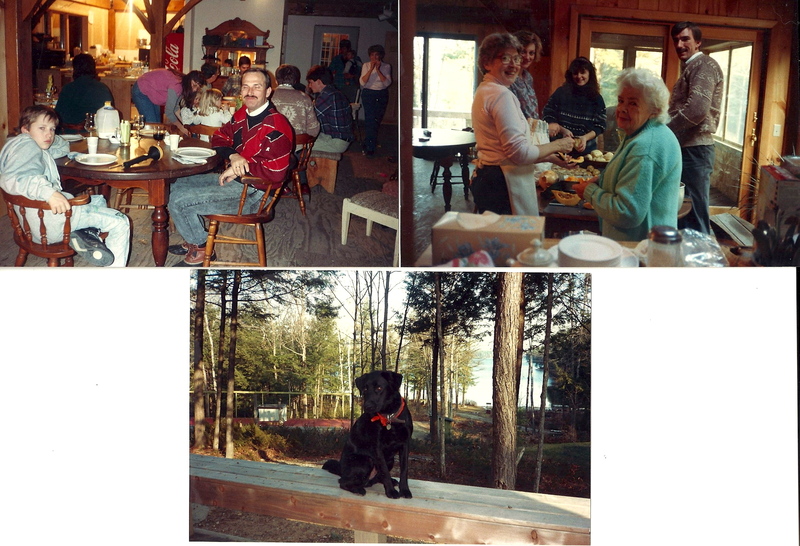 I think my families favorite memories are the ones we spent in Readfield, Maine with grandparents, aunts, uncles, cousins…we would have 25-35 people at the dinner table (and LOTS of dogs), which overlooked beautiful Marancook Lake. 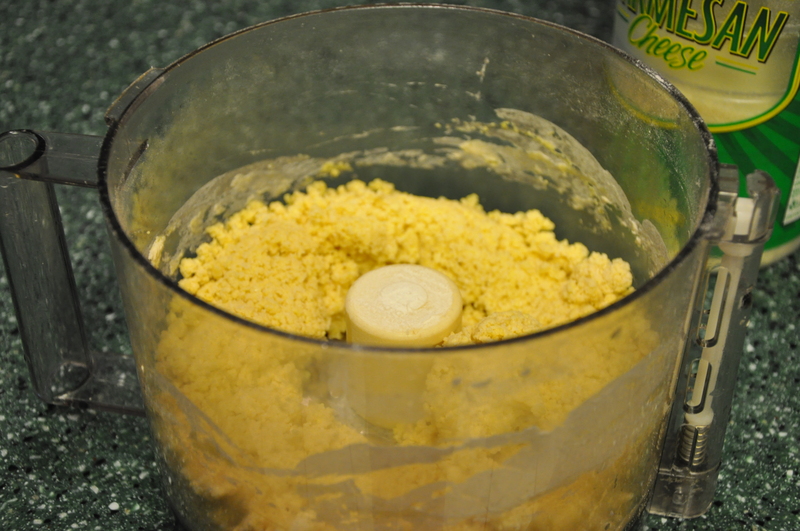 Add the eggs, oil and salt to the bowl of a food processor. Process until eggs are blended. Add flour and process the mixture until the flour is evenly moistened and crumbly; this will take about 10 seconds. Dough should come together when removed from the bowl. Wrap dough in plastic wrap and let rest 15-30 minutes. 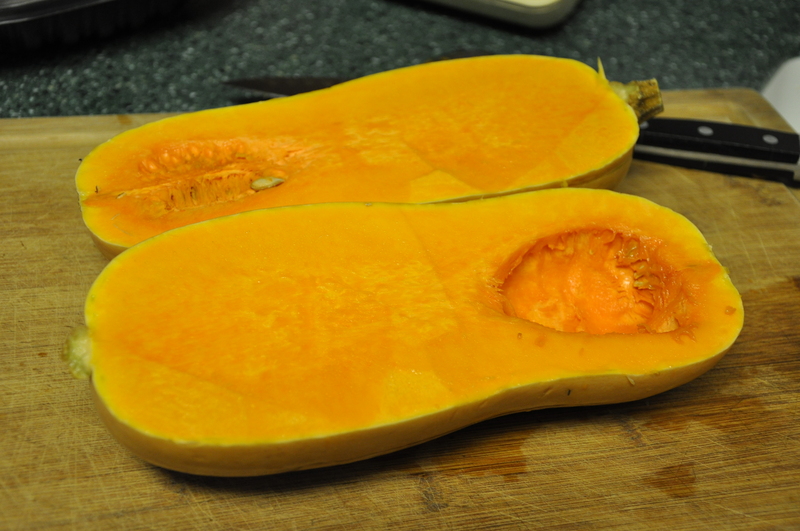 Cut butternut squash in half, lengthwise. Scoop out seeds. Place butternut squash halves on a large baking sheet flesh side up. Roast 25 minutes or until flesh is fork-tender. Scoop squash into a medium sized bowl; using a potato masher mash squash until smooth. 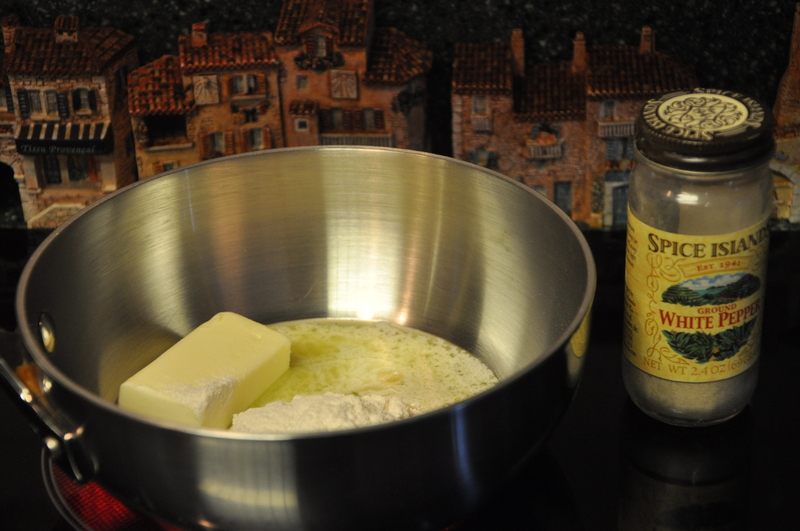 In a medium size sauté pan over medium high heat, add 1 tablespoon butter. 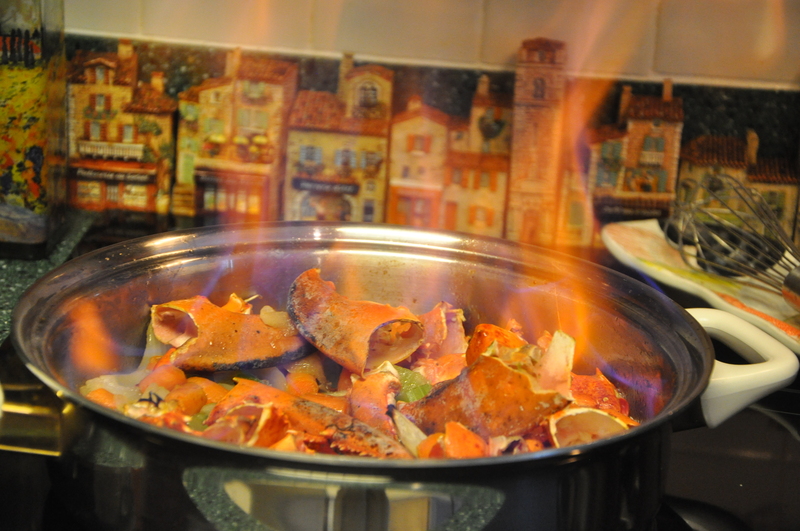 When melted add onions or shallots and cook until transparent and soft, about 5 minutes. 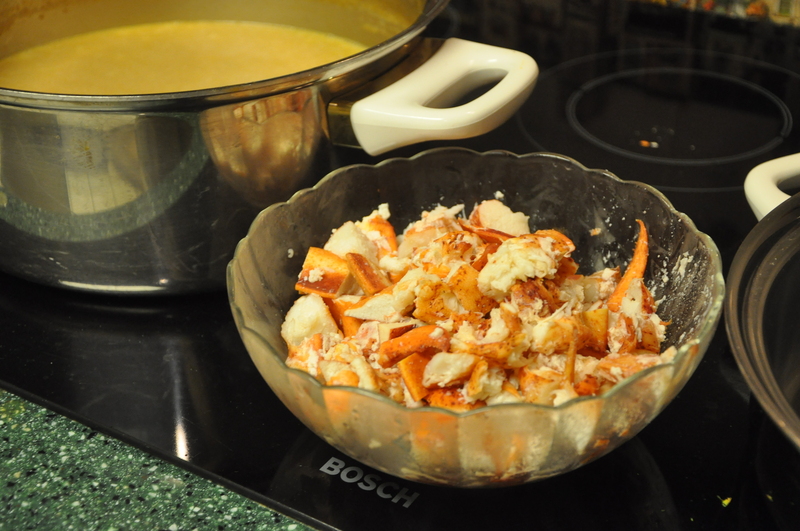 Add mashed squash, white pepper, nutmeg, and heavy cream, parmesan cheese and mozzarella cheese. Mix until well combined. Remove from pan and place on a large dish to cool. When cool, place filling into a large zip bag. Snip a corner off with scissors. 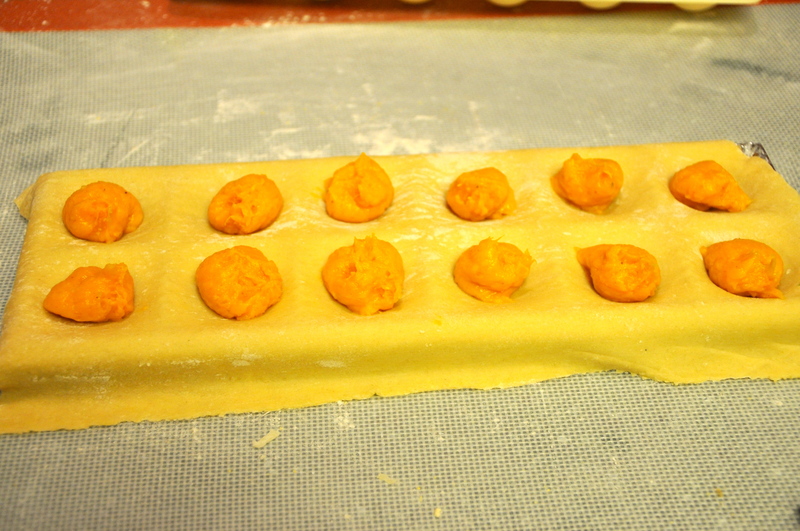 This will allow you to squeeze the filling into the ravioli pockets. Roll dough to #5 on pasta rolling machine using 1/4 of the dough at a time. Keep remaining dough covered so it doesn’t dry out. During the winter months when the humidity is low roll to #5 twice (#6 is too thin). Place one layer of dough on a ravioli press (make sure bottom of dough is well floured so it doesn’t stick when removed). 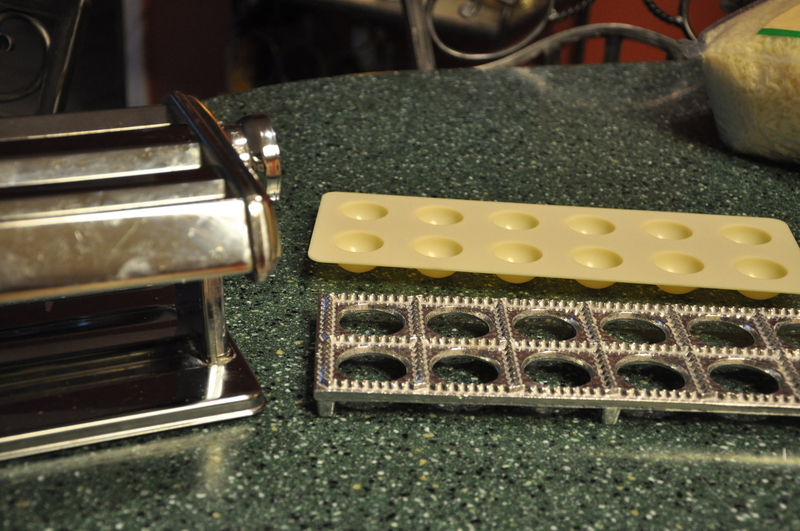 Gently press the pasta dough with the ravioli press. Fill pockets with 1 teaspoon of filling. Top filling with another layer of dough. 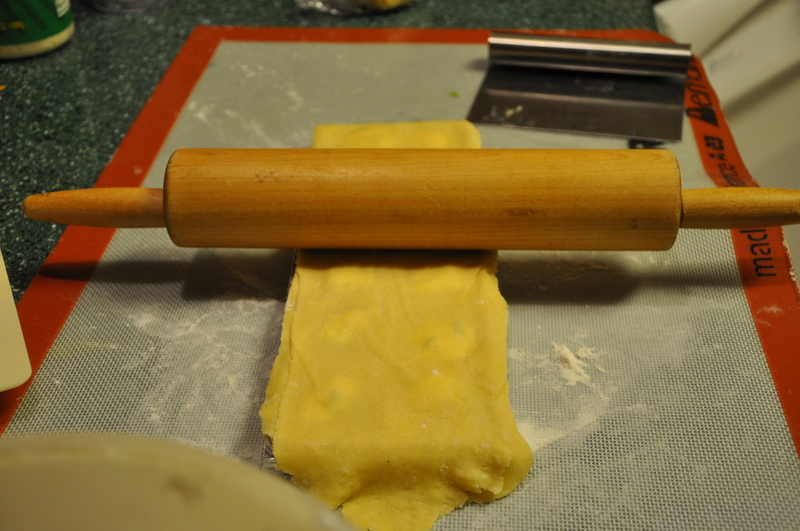 Use a rolling pin to cut the ravioli. Flip ravioli unto a large sheet pan that has been sprinkled with polenta (to prevent sticking). This recipe makes 5 dozen ravioli. Place sheet pan in freezer, and when ravioli are frozen, place in a zip lock bag until ready to use. Cook in a large pasta pan with an insert in salted boiling water, about 5 minutes. In a small sauce pan over medium heat add 8 tablespoons of good quality butter (I prefer Kerrygold brand). When butter is melted, add sage leaves. Cook until butter is golden brown. 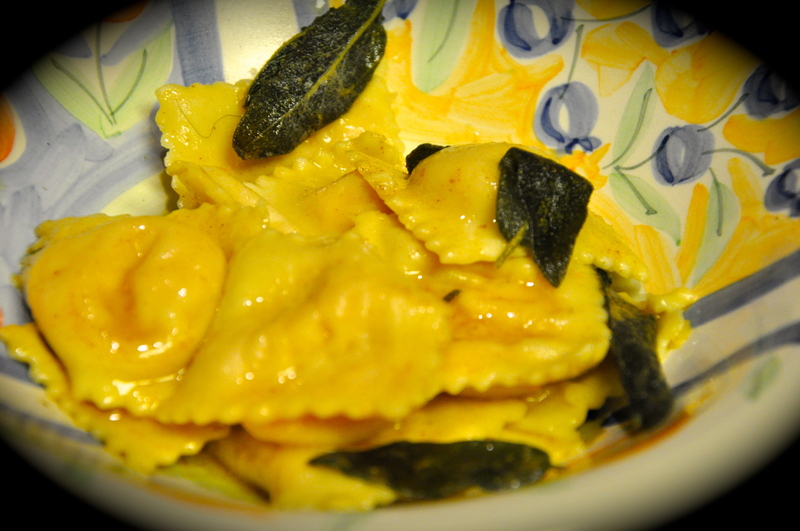 Remove and top sauce of ravioli, make sure you eat the sage leaves, they become very crunchy and quite tasty. 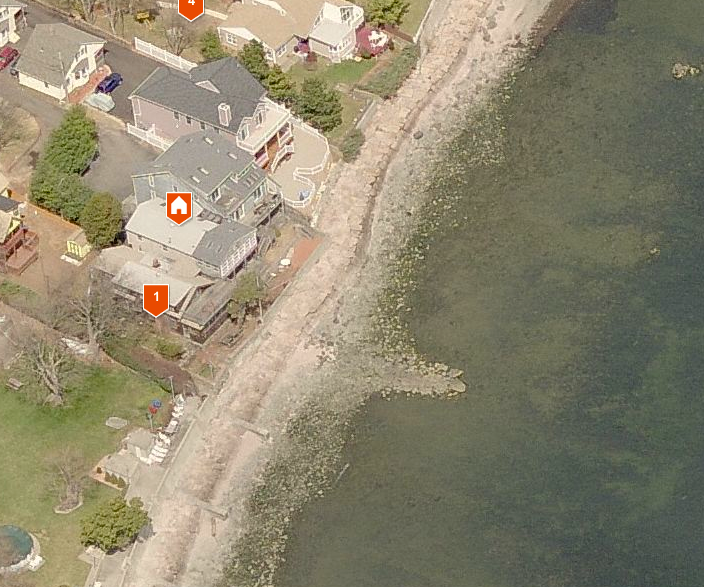 Before moving to Germantown, TN in 1994, we lived on Long Island Sound in West Haven, Connecticut. Many wonderful memories from living there, the view of the ocean was just amazing. We built this house and had several balconies overlooking the water. 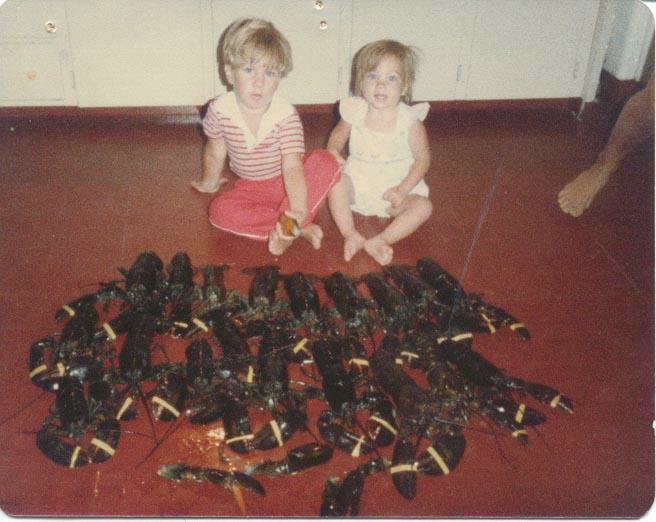 Yes, we had many lobster meals, it was always fun seeing just what I could come up with. 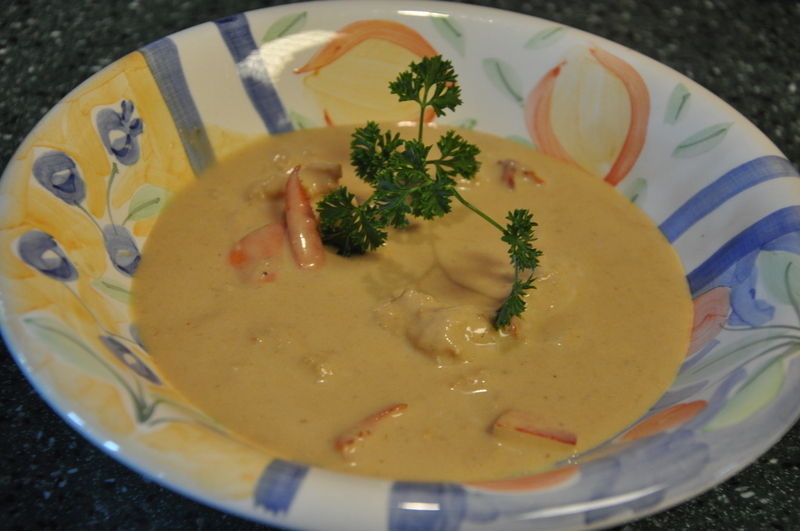 On special occasions I would take the time to make “Lobster Bisque”. It’s not difficult but I have to admit it is time-consuming, but well worth the time and effort. 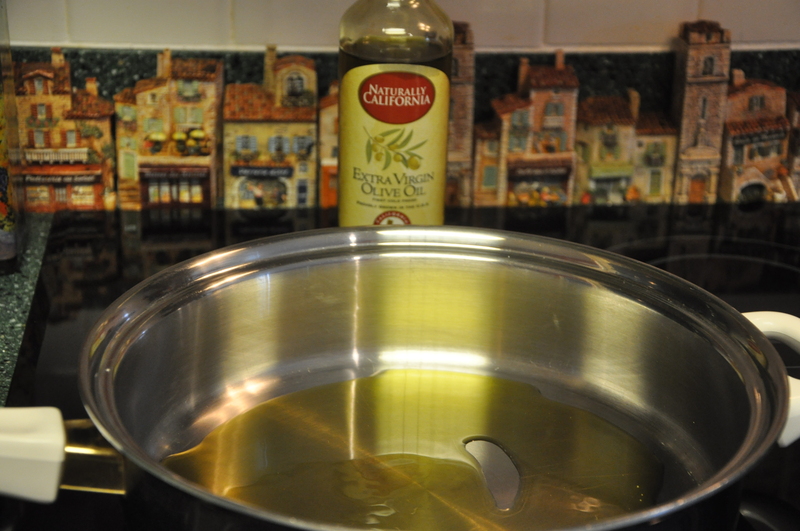 In a large saute pan add 1/4 cup good quality extra virgin olive oil. 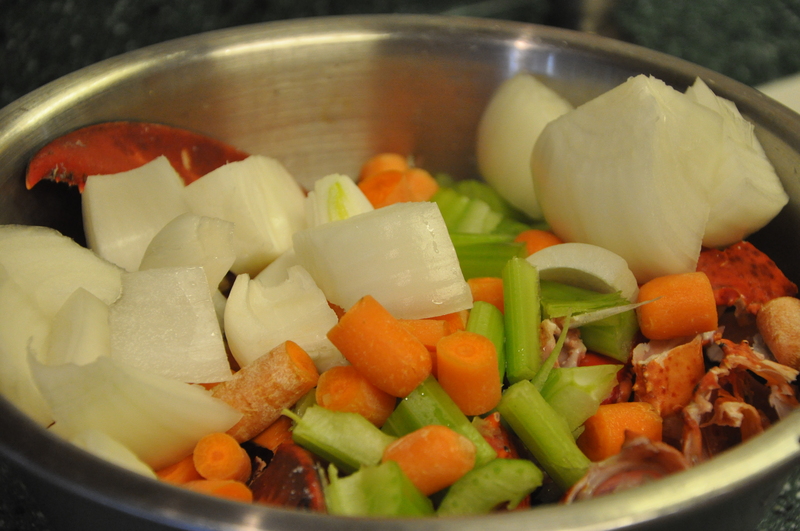 When hot, add 1 large onion, 2 stalks of celery, 2 carrots and 3-4 cloves of garlic (all roughly chopped), and lobster shells (reserve the meat for later). Saute over medium heat until the vegetables are soft, about 10 minutes. 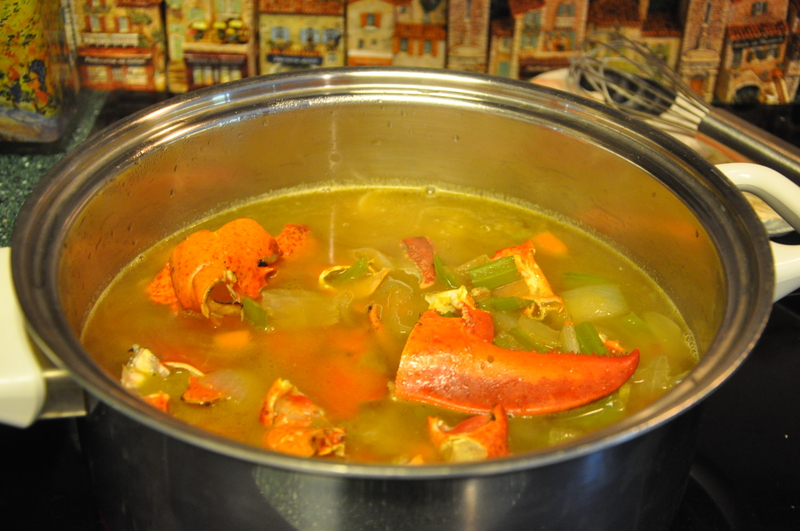 Add the sautéed veggies and shells, l sprig fresh parsley, 2-3 sprigs fresh thyme, 2 tablespoons whole peppercorns, 2 bay leaves, 1 cup white wine (drinking quality) and 3 ounces tomato paste to the lobster stock. Simmer stock for 1-2 hours. Meanwhile, in a small sauce pan make a “blonde roux”, equal parts of butter to flour, 4 tablespoons each and a few sprinkles of white pepper…cook until simmering, remove from heat and reserve until needed. 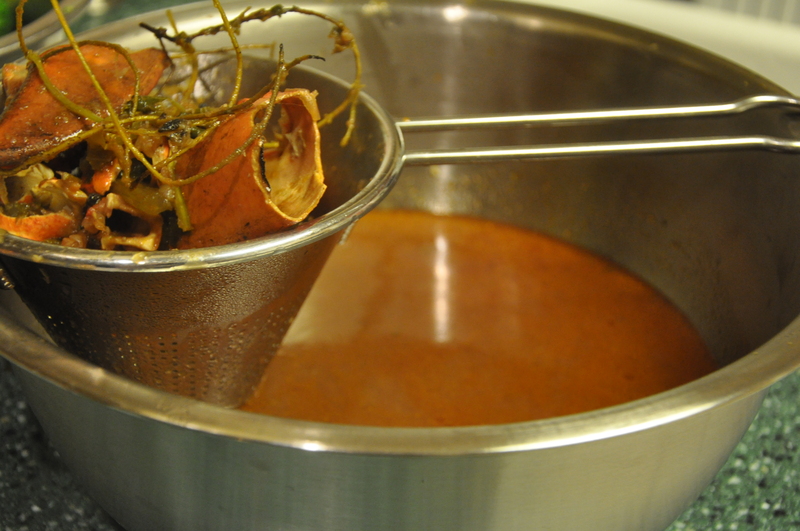 Remove the stock from the heat, strain through a fine sieve or chinoise. Place the stock back into clean saucepan, bring to boil and add reserved roux. Whisk until thickened and cook 5-10 minutes. 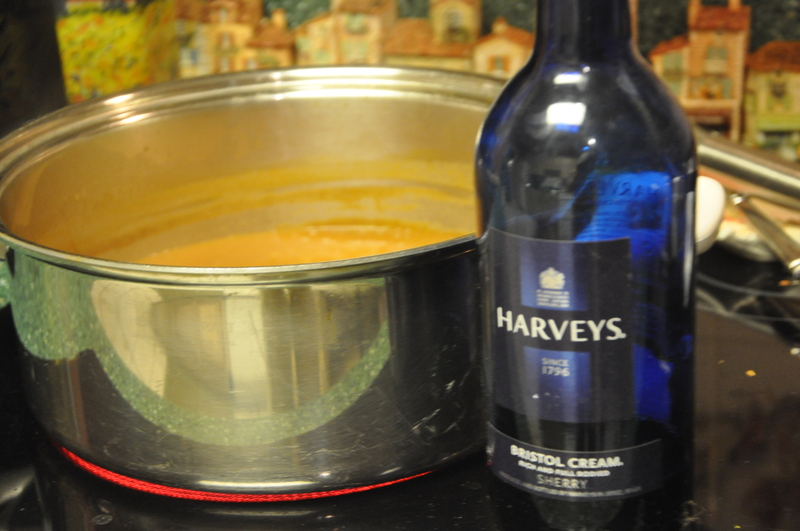 Add 1 cup heavy cream and 1/2 cup Harvey’s Bristol Cream. Simmer 2-3 minutes. 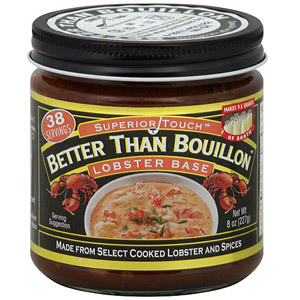 Add reserved lobster meat, heat, serve and eat!